- This week marks 10 years since The Bella Twins made their WWE TV debuts. Below is new video of Brie Bella looking back at her match with Victoria in Philadelphia. She also talks about the upcoming all-women's Evolution pay-per-view and being a part of the women's evolution. "It's something you never thought could happen and when you're actually a part of the movement when it happens, then you can't even describe this feeling inside," Brie said. "It's just a burst of excitement. Wow, I just feel like the luckiest girl in the world that I've been a part of all of this. Wow, I'm very lucky." - As noted, rumors and speculation emerged about WWE’s interest in bringing back the former Divas Champion. As of a couple weeks ago, there was no word on these rumors being true and he also restated that the deal would be very tough to pull off. With WWE’s doctor Chris Amann suing CM Punk and the bad blood there, it might make it impossible. 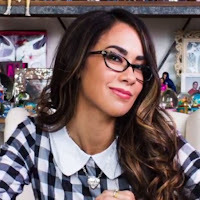 So don’t hold your breath for AJ Lee at Evolution, even though that would still be pretty cool.